With her richly textured novels, Vreeland has offered pioneering portraits of the artist’s life. Now, in a collection of profound wisdom and beauty, she explores the transcendent power of art through the eyes of ordinary people. Life Studies begins with historic tales that, rather than focusing directly on the great Impressionist and Post-Impressionist masters themselves, render those on the periphery – lovers, servants, and children – as their personal experiences play out against those of Manet, Monet, van Gogh, and others. Vreeland then gives us contemporary stories in which her characters – a teacher, a construction worker, and an orphan, for example – encounter art in meaningful, often surprising ways. 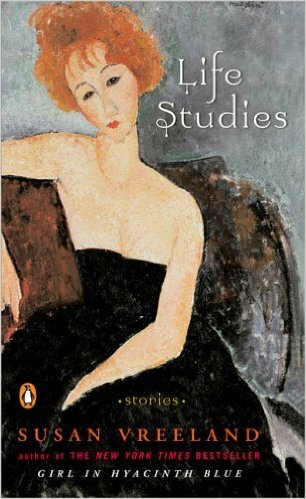 A fascinating exploration of the lasting strength of art in everyday life, Life Studies is a dazzling addition to Vreeland’s outstanding body of work.